November is the start of the National Letter of Intent season! Especially pay attention to the early signing periods that start November 12th and end November 19th. The deadline for schools that accept 'Early Decision' or 'Early Action' applications usually falls around November 1st or 15th. *This process is binding if they are accepted to the school. Both steps will make the application process go smoothly! Make sure families are aware money is on a first come first serve basis. Applying as early as possible will allow the family to receive the maximum amount of funding - some funding is limited and may be depleted if a family waits too long. Plus, no matter the families income everyone should apply for the FAFSA! This will ensure they are eligible for the maximum amount of aid possible and cover themselves in case an unforeseen circumstance arises with the family. For more information on college scholarships and financial aid click here. On Thursday, South Carolina announced that it would be the latest school to commit to 4 year scholarships for a larger number of student-athletes. The program, called "The Gamecock Student-Athlete Promise: A Championship Experience," will ensure that all student-athletes in the "Head count" sports of football, men's and women's basketball, women's tennis, and women's volleyball will receive 4 year scholarships. In a study in early September by CBSSports.com, it was revealed that only four schools (Ohio State, Florida, Arizona State, and Florida State) that had a football or men's basketball team finish in last year's top 25 had more than 20 athletes on four year scholarships in all sports. Ohio State led that group with 71 student-athletes with four year scholarships. The only way that a South Carolina athlete in those sports can be removed early from a scholarship is if they leave the team voluntarily, become ineligible, or violate university or athletic department policy. o Cost of Education: Redefine full grant-in-aid to meet a student-athlete's cost of education, as determined by the federal government. o Multi-Year Scholarships: Guarantee all scholarships. If a student-athlete is no longer able to compete, for whatever reason, there should be no impact on institutions' commitment to deliver an undergraduate education. o Lifetime Educational Commitment: Ensure that scholarships are available for life. 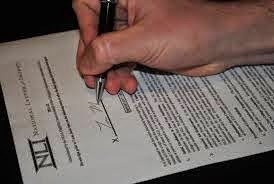 If a student-athlete leaves a university for a professional career before graduating, whether the career materializes, and regardless of its length, the scholarship will be honored after his or her playing days are complete. o Medical Insurance: Provide improved, consistent medical insurance for student-athletes. With big changes coming to major college athletics, the USOC is worried about the possibility of funding being cut or eliminated altogether for NCAA Olympic sports. USOC CEO Scott Blackmun last week outlined several ways in which the USOC may become involved with sports within the NCAA. One idea he mentioned is having US national sport governing bodies working with the NCAA to sponsor national championships in various sports. There are no set in stone ideas yet, but he went as far as to say they've already identified a donor willing to provide $5 million to back his effort if the right idea is found. For more junior volleyball education and junior volleyball recruiting information click here. For more information about the NCSA click here.